Nearly 4,000 people lost their lives in crashes involving large trucks in 2015, the fifth consecutive year that fatalities increased. The majority of these deaths — 84% — are not truck drivers, but car passengers, cyclists, and pedestrians. Commercial trucks are 20 to 30 times heavier than passenger cars and trucks pose a disproportionate risk on city streets and roadways. Truck safety regulations approved during the Obama Administration are set to take effect soon. Fatigued driving has been identified as one of the top causes of fatal collisions. Those regulations were designed to combat fatigue driving. Those regulations included precautions such as limiting drivers to taking no more than 11 hours behind the wheel in any 14 hour period, and mandating electronic monitoring of hours driven instead of paper logs (which can easily be manipulated). In August, 2017, however, the White House reversed the Obama-era rule that would require sleep apnea screening and treatment for drivers. The current Administration has also targeted a rule requiring “under ride guards”, equipment that prevents smaller vehicles from getting wedged under trailers in collisions, to be reversed. Rader said, “We shouldn’t be turning back the clock”. 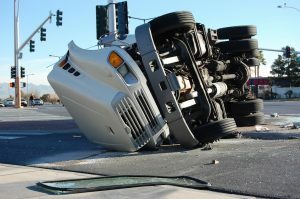 Rader specifically cited “reducing fatigue, enforcing work rules, limited speeds, requiring stronger under rideguards, and getting more crash prevention technology on large trucks” as proven methods to safe lives.